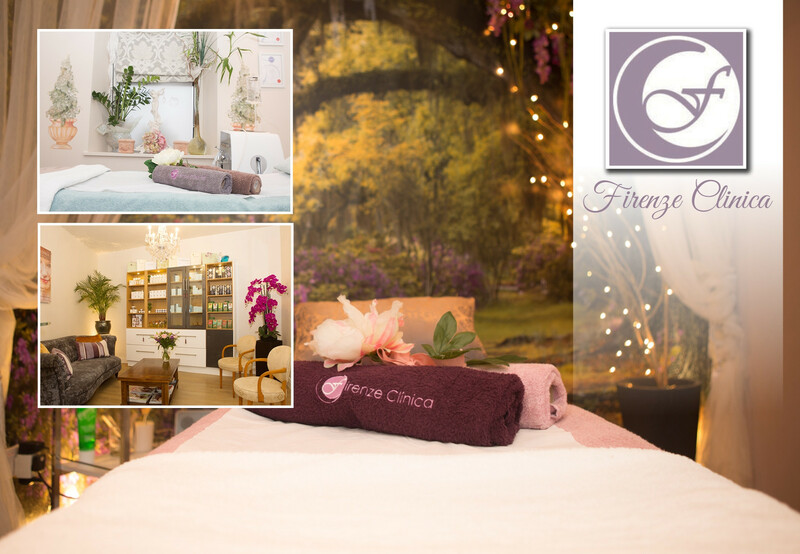 Firenze Clinica has designed exclusively for the Rewarding Times customer the Ultimate Pamper Package consisting of 9 treatments for just € 79 (worth € 570), and 3 of them including a body wrap are to make your body firmer, smoother and most of all detoxified. While your body is wrapped, you will experience the ultimate Facial. Our highly qualified Therapist will give you a very thorough Skin Analysis, followed by the Botox Effect Plant Facial. It is a non-invasive treatment, which will tighten, firm and help minimize wrinkles and fine lines. You will be able to see the difference immediately. Next you will treated to a relaxing de-stressing Back, Neck and Shoulder Massage. At the end you will be served refreshments - Organic Infusion, Italian Biscuits and Butlers Chocolates. Let's spoil ourselves !!! We are truly worth it ! This special massage uses stroking techniques, applied onto the skin using brushes of half bristles. This action helps to increase the blood circulation while removing dead cells from the upper skin layer. This will leave your skin surface smooth and receptive for the following treatments. It is therefore often used as a pre- treatment as it stimulates the metabolism and expels toxins. Ground-breaking bespoke detoxifying/firming treatment available now only at Firenze Clinica, consisting of uniquely blended creams & serums, specifically formulated to tighten and firm up your body's specific areas. The product penetrates the epidermis thru a gentle massage and gets absorbed into the blood stream staying active in your body for up to 12 hours, promoting detoxification and successfully targeting areas of cellulite, water retention and will burn or freeze fat deposits while stimulating the lymphatic system to help firm & tone the skin.The results are long lasting and after your first treatment, you will notice your skin is smoother, firmer and cellulite is visibly reduced. Find out what your skin needs… Firenze's skin experts will provide insight into your skin’s past and present, and will create a treatment and recommendations based on their findings. Not all of us like to go down the invasive "Botox Way"injectible treatment. In this facial we use products manufactured with highly sophisticated bio-chemical technology containing extremely active plants extracts and substances that have a Botox effect on the skin surface. Not only the ingredients but the method is unique among all of our treatments at Firenze Clinica. It also contains a SPECIAL face massage, which helps active substance absorption. Your skin will be a lot tighter, younger looking, firmer and wrinkles will be minimized. This is a spectacular targeted treatment for the care of tired eyes. Thanks to the wrinkle-smoothing peptides and hyaluronic acid, the skin around the eyes becomes radiantly youthful again, swelling around the eyes lessens, and dark circles begin to fade. The treatment contains cleansing, special eye massage & an instantly-tightening eye mask. Our lips, just like other parts of our face, need even more help with anti aging elements. We prepare a lips exfoliation treatment and organic moisturizing mask, which will leave your lips plump and very healthy looking. Soft lighting, soothing music and massage oils all enhance the enjoyment of this light to medium touch massage. Through the use of long strokes, kneading & petrissage, this calming massage will release stress by reducing tension & improving your circulation. Indulge, and feel tension slip away from your mind, body and soul. Enjoy the scent of passion fruit infused oils. Passion fruit with its mood lifting properties is the ideal choice here for the approaching dark winter days and cold weather.